All Web Sites have been recommended by group attendees. Gloucestershire Self Harm Helpline provides a safe, supportive, non-judgmental and informative space for people who self harm, their friends, families and carers. ​Student Minds empower students and members of the university community to look after their own mental health, support others and create change. They're working to transform the state of student mental health so that all in higher education can thrive. YoungMinds champion the wellbeing and mental health of children and young people. They create change so that children and young people can cope with life's adversities, find help when needed, and succeed in life. The Muslim Youth Helpline (MYH) is an award winning registered charity which provides pioneering faith and culturally sensitive services to Muslim youth in the UK. Dipti TaitDipti, author of Good Grief, owns and manages The Cotswold Practice in Stroud, she began her career in TV Post Production, working for the BBC in London. She gave up this glamorous world to become a mother and raise her two boys. She then made some substantially significant life changes to embark on a much more fulfilling and rewarding career in various Holistic Therapies and now Clinical Hypnotherapy at The Cotswold Practice in Stroud. Dipti also lectures and holds workshops around the UK. Dipti regularly makes appearances on TV and Radio (BBC and ITV) talking about the benefits of Hypnotherapy..
Cruse offers face-to-face, telephone, email and website support. They have a national helpline and local services, and a website and freephone helpline specifically for children and young people. Their services are provided by trained volunteers and are confidential and free. Cruse also provides training and consultancy for external organisations and for those who may encounter bereaved people in the course of their work.unter bereaved people in the course of their work. We met Keira when she approached us at our Morriisons Mental Health Awareness Campaign Keira offers a confidential space for reflection and growth, empathy and congruence in a non-judgemental environment. 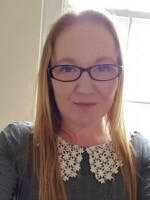 She has experience of working with pregnancy related issues, depression, anxiety, trauma and much more. She is a qualified Integrative counsellor working with psychodynamic and person-centred approaches and is a registered member of the BACP. ​ARTLIFT is a Charitable Incorporated Organisation (CIO) that provides a 'bridge' between the arts and creativity and the health sector, by designing evidence based creative programmes that meet the needs of people affected by a range of health issues. The Suicide Crisis Centre offers a safe place where you will be supported and helped through your crisis. Their care continues for as long as you need it. They have a team of dedicated, caring, well-qualified people who really want to help. They provide face to face crisis support and their new Centre is open 24 hours a day for people who live in Gloucestershire. They also have a Trauma Centre. Wendy Beresford is a trainer and practitioner in Energy EFT (Emotional Freedom Techniques), specialising in helping those living with anxiety and stress. Having spent most of her life battling with chronic anxiety, social phobia and panic attacks, this is a subject close to her heart. Wendycame along to the group to tell us a little bit about the technique that has helped her so much and we were able to try out and take home a couple of simple exercises to use everyday. ​Self injury Support is a national organisation that supports girls and women affected by self-injury or self-harm. Healthwatch Gloucestershire is responsible for providing the public with local information to help them make informed choices about their health and social care needs. This service builds on the legacy of the GUiDE Information Service, providing a single point of access for information and advice. Formed using a Barnwood Trust Small Sparks grant, the Kingsholm Mindfulness Group aims to improve the wellbeing of the residents in the local community through the practice of mindfulness. A virtual counselling and information service for those under the age of 25 who are affected by Mental Health Issues. Must not be under C heltenham Mental Health Trust care. Mental Health Experience Led Opportunities. Footsteps Counselling and Care is an independent organisation. It was established to provide free, professional, non-directional, confidential, counselling for anyone, in Gloucestershire, suffering due to pregnancy loss (miscarriage or termination), stillbirth, neo-natal death, post or ante-natal depression or crisis pregnancy. 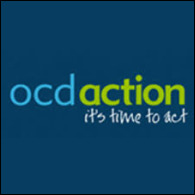 ​ Or click on picture to go to the Gloucestershire Action for Happiness Group details. Carers Gloucestershire was established in 1992. They are one of the Carers’ Trust’s ‘Centres of Excellence’. Their mission is to empower carers in Gloucestershire, promote their rights and enable them to make positive choices to improve the quality of their lives. The Simple Things Project is a non-profit organisation run for the benefit of the community, not bosses. They are a Community Interest Company and 100% of the profit they make goes straight back into providing activities, food and drink for the people of Winchcombe. Click picture to find out more about The Richmond Fellowship. ​Richmond Fellowship has been pioneering approaches to recovery and championing social inclusion for more than 55 years and is now one of the biggest voluntary sector providers of mental health support in England. At this present time The Richmond Fellowship only provides services for certain counties in England. ​A treatment service for people with addictions, created by people in recovery. Within the Rehab for Alcoholism's Website there is the ​Ultimate Guide to Mindfulness and Addiction, written by John Aldridge. John is a therapist specialising in the treatment of drug and alcohol addiction and is based in the United Kingdom. This guide outlines how mindfulness is able to help people defeat addiction once and for all- Click picture to read the guide and find out more about Rehab 4 Alcoholoism. 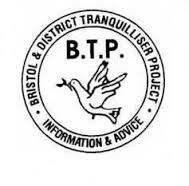 ​CHANGES BRISTOL has been running peer support meetings in the City of Bristol for over 12 years and our expertise helps more and more people each year. Their meetings are safe places for people to come and talk about their feelings and to take steps toward improving their lives. A private sounding board for your thoughts. "I found the questions really helpful to get past what I was ruminating over"Andrew Ratomski, UK. Click picture to find out more. ​Provides Professional Counselling services for young people aged 9 - 21 and their families. across the county of Gloucestershire. Click on picture to find help with claiming these benefits. Sobs exist to meet the needs and overcome the isolation experienced by people over 18 who have been bereaved by suicide. Click image to find out what is happening in and around the Gloucestershire area. These MeetUps can give you an opportunity to enhance your mental health well being. The link opens to some of the different kinds of Meetup groups you can find in Gloucestershire. After many years of personal meditation and yoga practice Jean and Sonia have made a commitment to share the benefits of mindfulness practice with others. Recovery South West is a a non-profit organisation based in the south-west of England that is raising awareness of the new understanding of how best to deal with mental health issues. Click photo to find out more. 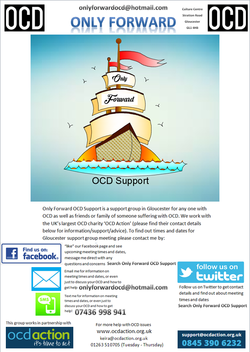 ​Only Forward OCD is a local Support Group in Gloucestershire for those suffering from OCD they meet the second Thursday of the month. They have a Facebook Page. Search Only Forward OCD Support. ​ConquerWorry™ is dedicated to advocating for those who struggle with worry, stress or their mental health. The platform was created by Jay Coulter and includes a podcast, blog and The 3R Mental Health Awareness Program. ​Classes held at Hesters Way Resource Centre. 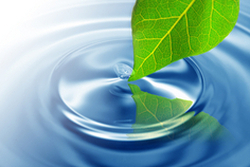 Essence events are designed for all who are on a spiritual journey and want to travel further. They are a rich blend of activities including meditation, music, poetry and reflection. Sessions use material from a Christian perspective, relevant to those who belong to a faith, Christian or other, and those who do not. The Expert Patients Programme (EPP) Click on picture to find out more. The Charlie Waller Memorial Trust was set up in 1998 in memory of Charlie Waller, a young man who took his own life whilst suffering from depression. Shortly after his death, his family founded the Trust in order to educate young people on the importance of staying mentally well and how to do so. The Warning Signs Poster can be found on the Tasks and Downloads Page. Shelagh is a trained and experienced Autogenic Therapist with a diploma (Dip AT) from the Royal London Hospital for Integrated Medicine and registered with the British Autogenic Society and many years’ experience as a Paramedic. Shelagh runs Elite Coaching, Group Coaching and Individual Sessions in Winchcombe, Gloucestershire & other locations by arrangement. "I have finally, after 10 years, discovered my true passion in life and climbed from the depths of despair and depression with massive business debt to where I am now excited about the future. I am really looking forward to helping people like you to also find your fire and learn to love your life again and enjoy every day on this magnificent planet of ours.This day is just the start of that journey for you, if you choose to join us, just like it was for me when I ran Breakthrough 2014 UK"
John runs workshops to help with the management of conditions such as Depression Click on the picture opposite to find out more or to book on to one of John's workshops. You can sign up for a Free Newsletter on www.susanjeffers.com just click on the picture above. Susan Jeffers is the Author of the book Feel the Fear and do it Anyway. Family Space is a local group for parents and pre school children. A good place to go if you want some time to enjoy some play time with your child/children. It gives an opportunity for parents to better understand the ups and downs of their child's play and behaviour. Click logo to find ot more! Imogen Caterer has been a regular speaker at Group Meetings Find out more of what Imogen is about by clicking the three principles movies picture opposite or visit Michael Neil's website below. "Welcome! I've created this site as both an introduction to the inside-out understanding and a launching pad for your personal and professional transformation. Whether you begin by watching the video, reading the tip of the week, listening to our most recent radio show or simply by following your nose around the site, you'll find everything you need to get started and get going on creating a life that makes you (and often everyone around you) go "wow!" Kate is bipolar, Bill is her carer. Together, this husband and wife team strive to make the world laugh. They have told their story for 22 years in 29 countries, through their company HumourUs . Their work promotes tolerance and understanding of the challenges of mental illness. Now, with their series of witty Tee Hee shirts, Kate and Bill hope to raise a smile and provoke thought and discussion about mental health and stigma. Follow HHPDA on Twitter @HHPDA_UK or on Facebook just click on image. HHPDA also have regular meetings in the Gloucester area every other Tuesday from 6:30pm to 8:30. Contact details are via Depression Alliance. Situated in Stroud the "Red Horse Foundation"was established to meet the needs of growing numbers of people from all walks of life, who are seeking the deep and far reaching benefits of equine assisted therapies. The intention is to foster, assist and develop horse/human relationships for learning, healing and self-development. ​MIND – mental health charity. based on the content of these websites.